If you are looking for a used car that can offer you the technology features, comfort options and fuel efficiency you desire at an affordable price, the Ford Fiesta is a perfect choice. 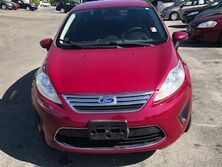 With its long list of standard technology features and available comfort options as well as its outstanding fuel economy rating, a used Ford Fiesta in Tampa, FL offers all the qualities you want and need in your next used car at a budget-friendly price. The Ford Fiesta is a subcompact car that is offered in two body styles that include a four-door sedan and a hatchback. In more recent used model years, both styles are available in multiple trim levels that include the S, SE and Titanium. A used Ford Fiesta also has multiple engine options to choose from so you can get the horsepower and fuel efficiency you need every day. The interior of a used Ford Fiesta has a lot to offer used car shoppers who are looking for the most high-tech features and luxurious comfort options they can get. 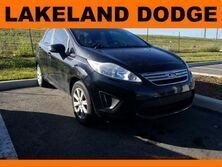 With its multiple trim levels and two different body styles, you’ll have an easy time finding the looks and features you’ve always wanted in a car when choosing a used Ford Fiesta in Tampa, FL as your next vehicle. The most popular technology features and comfort options offered in a used Ford Fiesta include Ford’s SYNC® 3 infotainment system with enhanced voice controls, a 6.5-inch touchscreen, satellite radio, USB ports, leather upholstery, automatic climate control, power windows and locks, keyless ignition, rear parking sensors, heated front seats, lumbar support, Bluetooth® connectivity, air-conditioning and much more.